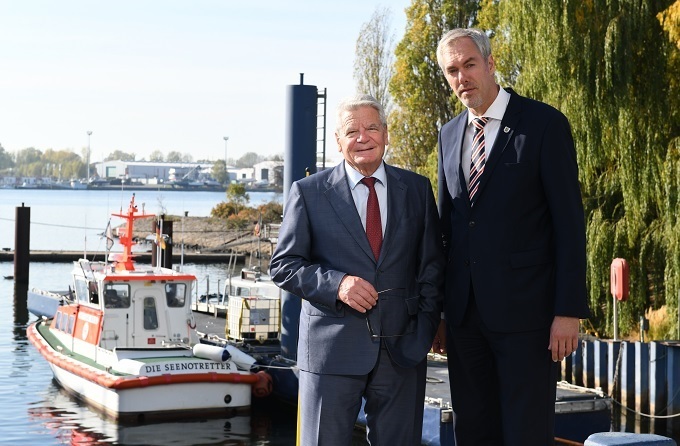 The former Federal President of the Federal Republic of Germany Dr. Joachim Gauck made use of his visit to his home town of Rostock to take a look around our state-of-the-art shipyard. During an extensive tour of the site on 12 October 2018, Dr. Gauck spoke to members of staff and apprentices, informed himself about our enterprise, its success story and looked behind the scenes of modern shipbuilding and ship repairs in our full halls. It was equally important to him to get an idea of the production of the new search and rescue vessels for the German Maritime Search and Rescue Service (DGzRS). 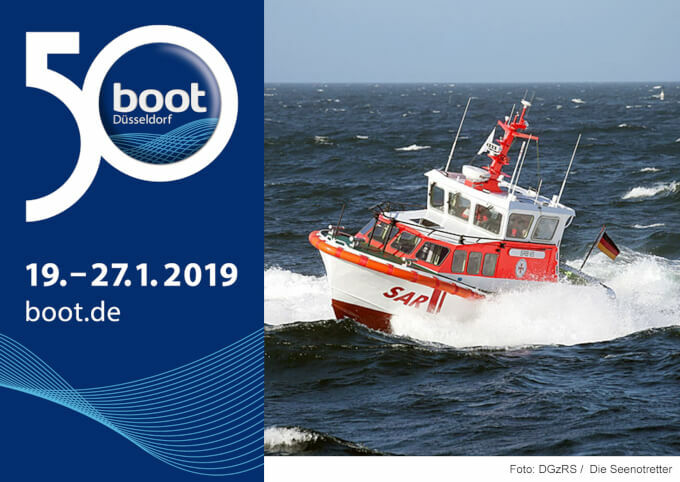 A new SAR vessel will be christened in Neustadt i.H. this coming Saturday, 27th October 2018, while keel laying ceremonies will be held on our premises for three further vessels of the 10.1m class on Monday, 29th October 2018.